A stunning dress with panel detailing! The Made In Italy Voe Dress features a classic round neckline and short sleeves, perfect for Summer. 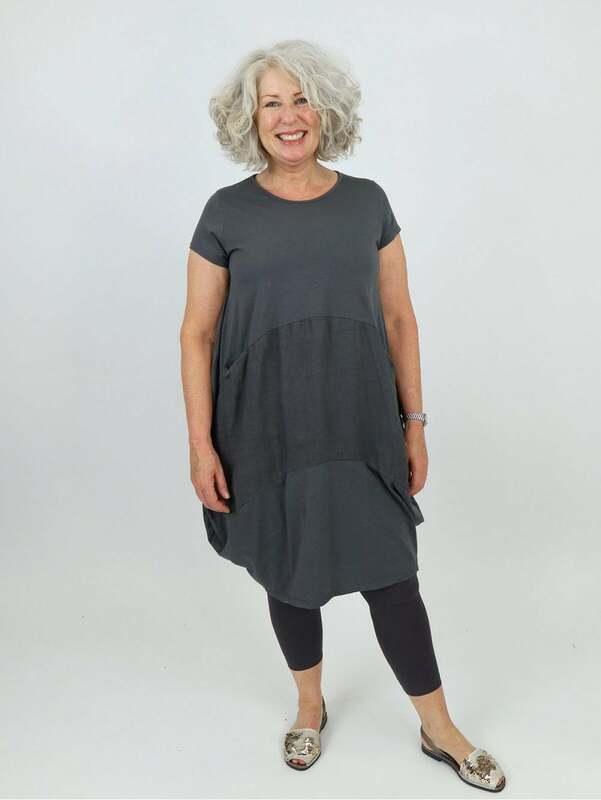 This Made In Italy Dress features a contrast panel around the waist and two pockets. We love the simplicity of this style and think it looks perfect with some jewellery and heels on an evening too. Showing our 2 Made In Italy Voe Dress reviews with an average rating of Excellent. Would you like to write a review?